This spot aired on the 2014 Super Bowl. “Peanut Butter” and “Chocolate” are featured as a married couple with relationship problems. 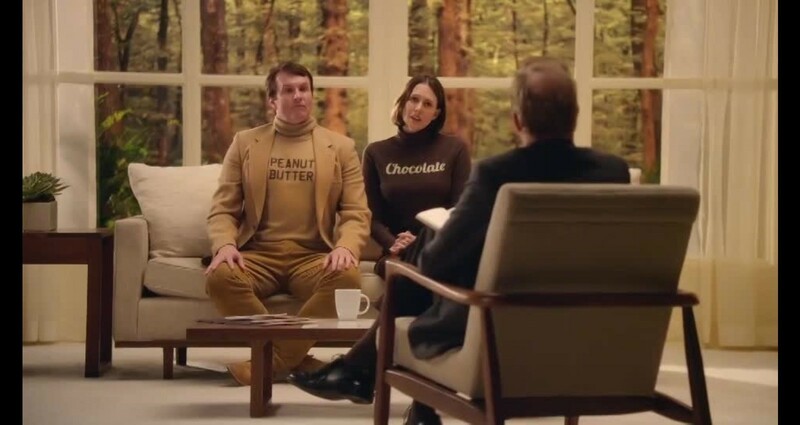 Their therapist suggests adding something new and unexpected to their lives – Butterfinger. It’s intended purpose was to introduce a new product, the Butterfinger Peanut Butter Cup. To create interest and buzz around a brand new Butterfinger product. The Butterfinger Peanut Butter Cup. This spot was produced for only $350k total.